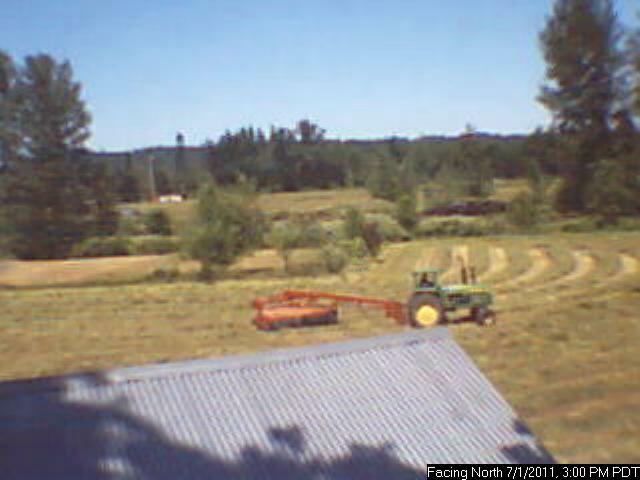 We went from cold, wet weather (that felt like winter) to Summer overnight here in the Northern Willamette Valley. This happened on Friday and Saturday. By yesterday (Sunday), the clouds started coming back in and it is considerably cooler today. The nearly 90F temps on Saturday, combined with a breeze, allowed me to get the small tractor and tiller onto about 75% of the field yesterday afternoon. And although there were serious thundershowers last night in our area, we were spared. I will get the remainder of the field tilled today. The rest of the week looks overcast with a chance of showers and highs in the mid-60s. Frustrating for a farmer but nearly identical to the hand we were dealt last year. Small orders are still trickling in (Thank you!!!) and we are able to get them quickly mailed out. Typically we are sending them within one business day. Folks here at the Victory Seed Company are taking advantage of this slow time for early vacations and catching up on home maintenance tasks. Thursday we are moving our son back home from college for the summer and starting first thing Saturday morning, we plan to focus on planting. So far the forecast looks promising. The plants in the greenhouse are holding out but they are beginning to look a bit stressed and need to be out in the ground. Not a lot else to report. Blog posts may now start to be more sporadic than normal as I am required to spend less time in the office and more time out in the fields.